If you love Pumpkin pie… & you love ice cream…. 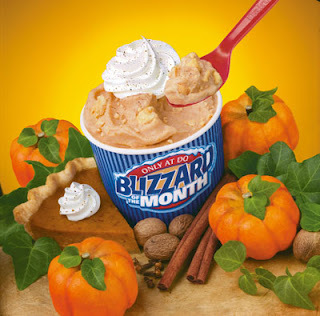 You have to try DQ’s Pumpkin Pie blizzard! You are hilarious! I just love your blog. Here's a funny story. This morning my youngest daughter screamed out the front door (as her Dad was shoveling snow): "Dad, I want to get you a gadget for Valentines Day!" I don't think she knows what this word means, but it was funny that she thought that's what you give a Dad. I'm off to get a gadget somewhere.